§ Many Color Choices Available. § 4 inch of 2.8 Density Air lay Fibre Foam core. 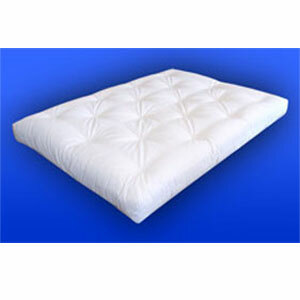 § Available in Cot, Twin, Full, and Queen Sizes. § Tufted to keep its shape. § Meets USA and California code 603 fire safety requirements.